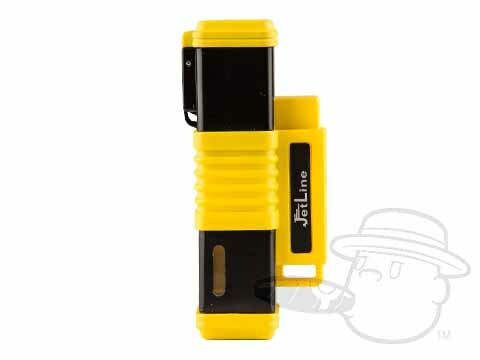 The New York Quad Torch Lighter by Jetline comes with a sturdy rubber grip for secure maneuvering of its 4 (yes, 4) strong jet flames. A unique mirrored flip cap actually allows you to see your cigar being lit to make sure you're getting a thorough light without stopping every few seconds to check. Whatta concept!